In a lot of our physical activities, our motions are usually initiated from the upper limbs and superficial muscles. Therefore, the generated power is scattered, erratic and very uptight. The perception of movement and the awareness of trajectories are weak. This way of moving causes MSDs that mainly affect the upper limbs. 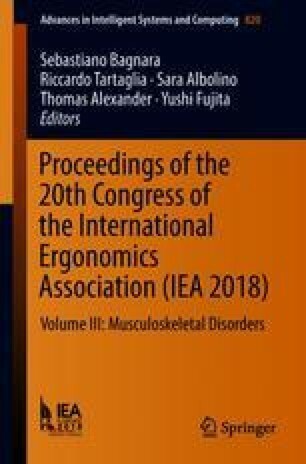 A lot of models for investigation of works disorders gives guidelines for upper limbs This is an important in the beginning but for us ergonomists, we have to make a real breakthrought.